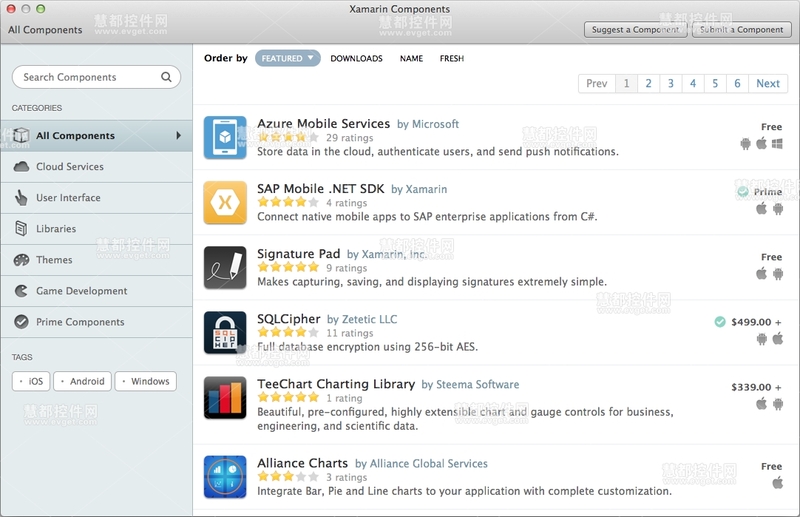 Xamarin Studio is a cross-platform mobile development (IDE) tool. Xamarin Studio is a high efficiency of the development of mobile development tools, developers can easily see iOS, Android and OS X APIs, rapid query types, methods, and API functions, and will not disrupt your ideas. Unlike Xcode’s Interface Builder, the Xamarin iOS Designer renders your custom views just as easily as it renders UIKit controls–live, with custom properties editable in the properties pad. Easily create Android screens by dragging controls onto screens, and configuring them using the properties pad. No need to get your hands dirty with XML. It’s hard out there for an Android developer, but the Xamarin Android Designer makes things easier by previewing layouts across multiple screen resolutions and device form factors simultaneously. 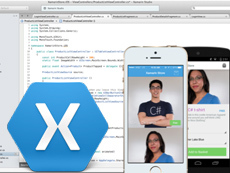 Xamarin Studio is available for OS X and Windows. You get the same great editing experience for your cross-platform code regardless of your OS. Quickly find any file, type, member, command and even NuGet packages, without any mousing around. Place your cursor over any member for type information and other details, helping you explore foreign and familiar APIs alike. Restructure and edit your code faster with context-sensitive templates and code refactoring actions including Extract Method, Rename, Add 'using' and more. Xamarin Studio ships with complete F# support, including syntax highlighting, refactoring, a REPL, mobile project templates, debugger support and more. Use Go to Definition and Find References to navigate around your project with ease. Quickly jump to any part of the current file using the breadcrumb, or visualize structure with the Document Outline. Even ugly code looks beautiful with Xamarin Studio's semantic highlighting. Easily distinguish language elements, and spot errors before you compile. Git and Subversion support for diff, log, revert, and other source control operations. Using third-party tools you can integrate with other popular VCS tools like Team Foundation Server. 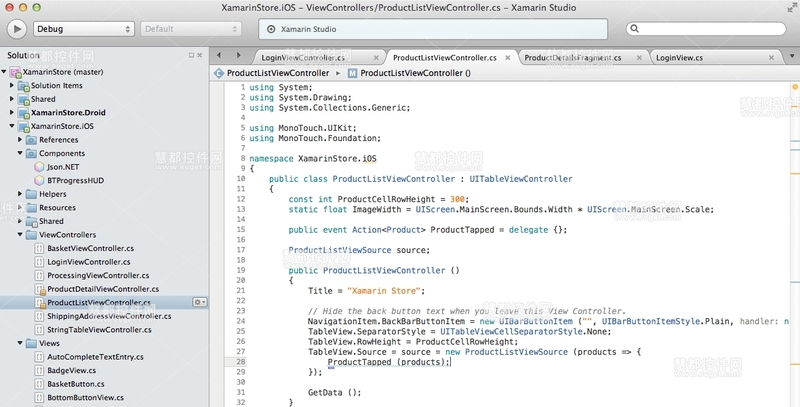 Xamarin Studio features first-class NuGet support. Solutions automatically restore packages. Discover incredible libraries in the sleek packages window. You can even search for packages right from the global search bar.